Constellation Brands (STZ) recently increased its quarterly dividend 1.4% to $0.75 per share. 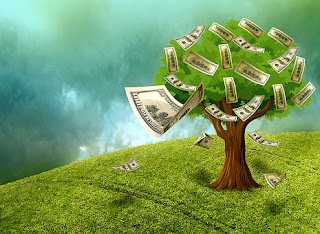 The dividend is payable May 24, 2019 to stockholders of record on May 10, 2019, with an ex-dividend date of May 9, 2019. The yield based on the new payout is 1.7%. TJX (TJX) recently increased its quarterly dividend 18% to $0.23 per share. The dividend is payable Jun. 6, 2019 to stockholders of record on May 16, 2019, with an ex-dividend date of May 15, 2019. The yield based on the new payout is 1.7%. ABB (ABB) recently increased its annual dividend 2.6% to CHF 0.80 per share. The dividend for stockholders of record on May 7, 2019, with an ex-dividend date of May 6, 2019. The yield based on the new payout is 4.1%. Aon (AON) recently increased its quarterly dividend 10% to $0.44 per share. The dividend is payable May 15, 2019 to stockholders of record on Apr. 15, 2019, with an ex-dividend date of Apr. 12, 2019. The yield based on the new payout is 1.0%. Bank OZK (OZK) recently increased its quarterly dividend 4.5% to $0.22 per share. The dividend is payable Apr. 22, 2019 to stockholders of record on Apr. 15, 2019, with an ex-dividend date of Apr. 12, 2019. The yield based on the new payout is 3.1%. H.B. Fuller (FUL) recently increased its quarterly dividend 3% to $0.16 per share. The dividend is payable May 2, 2019 to stockholders of record on Apr. 18, 2019, with an ex-dividend date of Apr. 17, 2019. The yield based on the new payout is 1.3%. Full Disclosure: No position in the aforementioned securities.